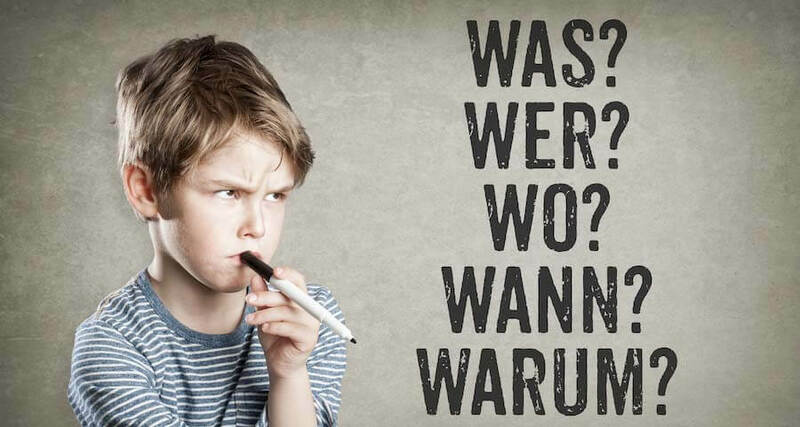 What Are the Basics of the German Language? Before you begin working your way to foreign language fluency, it helps to understand the culture behind the language you’re learning. After all, language exists to help a group of people express their ideas and beliefs. Germany is an old country with a rich history and culture. As you begin your German language program, gaining a strong grasp on this history, the values, and the etiquette will help you rapidly achieve success. In particular, German is a rich language with a complex history and culture. Learn the basics about German, where it is spoken, and by whom. Schools in Germany teach “Hochdeutsch”, which is the highest level of standard German, spoken by educated peoples. There are also a variety of dialects with slight differences in accent, vocabulary, and grammar. Among the main dialects are the “Switzerdütsch,” spoken in a region of Switzerland and the “Plattdeutsch,” spoken in Friesland and the Frisian islands. The German language is also spoken in Austria, a region in each Switzerland and Italy, and isolated areas worldwide. Historically, the German language was one of enlightenment and science and the foremost researchers and philosophers were German. It was Russia’s second language, taught in schools, even appearing on many documents including restaurant menus, until sometime in the 1990s when it was replaced by English. The standard of English language education in the country is also high, and most Germans were taught proper English in school and may be able to carry a conversation. Speaking slowly and clearly will be very helpful, as well as speaking proper English. Germans who live in an area with a large population of English speakers or who work with English speakers get to practice much more often so they can speak English very well. They are well educated and are genuinely interested in learning about other cultures. You can get a lot of status out of having a car in Germany, as long as you keep it cleaned and well-maintained. Inspections are done by the TÜV every three years and they’re very strict. Public transportation is pretty popular in Germany, because there’s a lot of it and it runs on time to the minute. Which is good for all the commuters getting to the big cities to work. There’s a lot of far-flung communities that depend upon commuter rail travel for their existence. Within the cities, public transportation is also available by tram, buses, and subways. It’s all very fast, efficient, and coordinated. In America and other countries, many people often mix business with pleasure. The practice of discussing your private affairs in the workplace or business at a cocktail party may be the norm. Not so in Germany, until just recently. In the past, Germans always kept business and their personal life separate, and it was viewed as inappropriate if you did otherwise. They would have no knowledge whatsoever about each other’s private life. Even though this culture has evolved somewhat, the mindset of some, particularly the older generation, is still the same. It’s been their way of life so long, it’s completely normal and natural to them. People from other cultures that live in Germany who are used to forming many of their relationships, friendship and otherwise, through people they meet at work or work-related functions, sometimes find this separation of work and personal life a bit frustrating.